Is it just me or is lunchtime the most important time of the day? 1. So let's start at the beginning because if you don't own a lunch box, you definitely should. 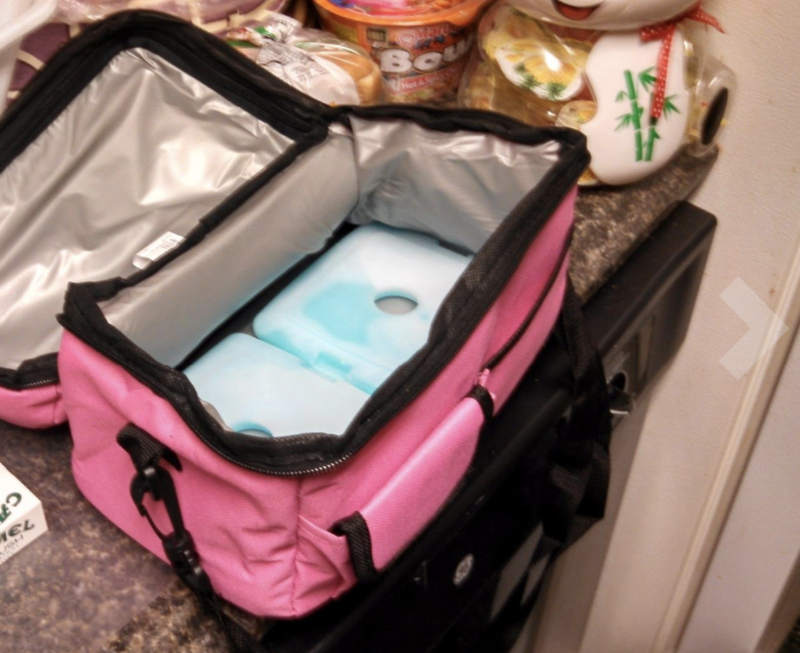 This purrrfect lunch box has cooling gel built into the walls so all you have to do is leave it in the freezer overnight. Come the next morning, it will be nice and cold. Plus it's made from nontoxic poly canvas and is PVC-, BPA-, phthalate-, formaldehyde-, and lead-free. Get it from Amazon for $11.76+ (available in 34 styles). 2. 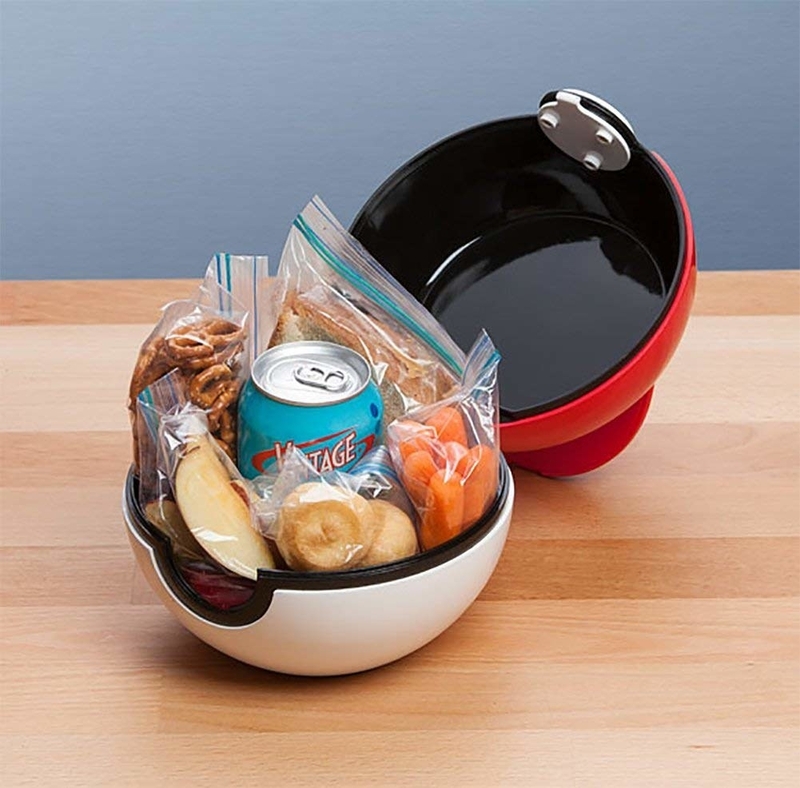 Or maybe a poké ball lunch box so awesome you'll want to ~catch~ all the snacks. Get it from Amazon for $15.23. 3. A Crock-Pot warmer so you can bring your comfort food from your living room couch to your office desk. 4. A collapsible salad bowl designed to fit toppings like cherry tomatoes, croutons, and carrots, while also holding dressing and a multipurpose spork (spoon/fork). I own this bowl and absolutely love it. It holds a large amount of lettuce plus my dressing and toppings. You can separate certain things out so they don't get soggy, or can throw whatever your heart desires in with the lettuce. The spork folds into itself and the silicone bowl collapses for easy storage. When I'm done eating, I simply pack it up (the dressing container and spork fit inside the top compartment) and slip it into my bag for later use. It's also super easy to clean. I just use a bit of soap and water to wash it out. Get it from Amazon for $14.99+ (available in four color combinations). 5. A set of bento box containers so you can separate your sandwich from your fruit salad from your carrots and hummus from your mixed nuts. I'm soothed just looking at this. These boxes are equipped with different sized sections to help you portion out the lunch of your dreams. 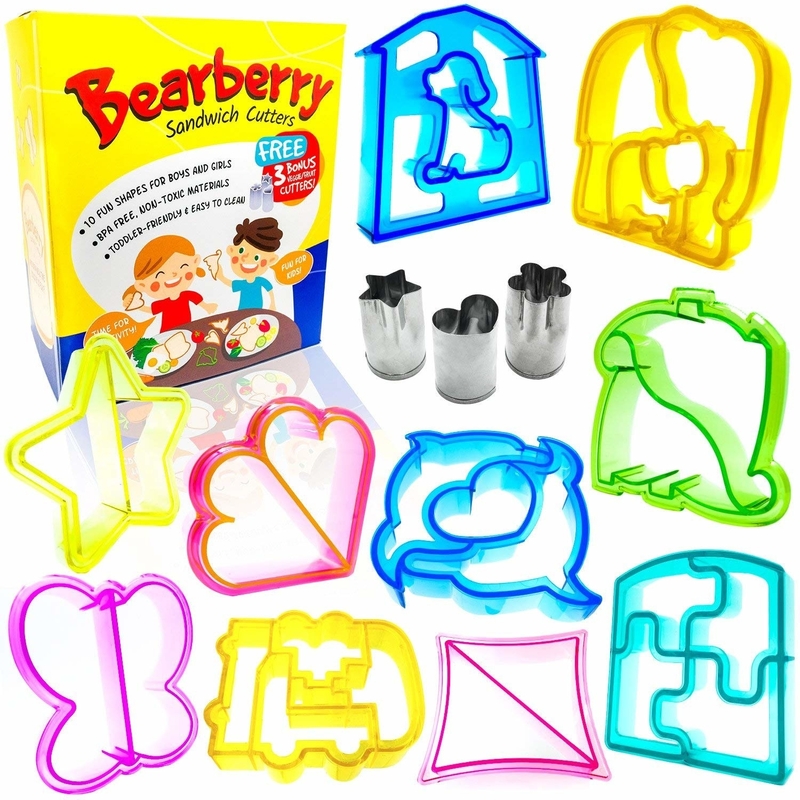 Great for kids or adults, these boxes are microwave-, freezer-, and dishwasher-safe. 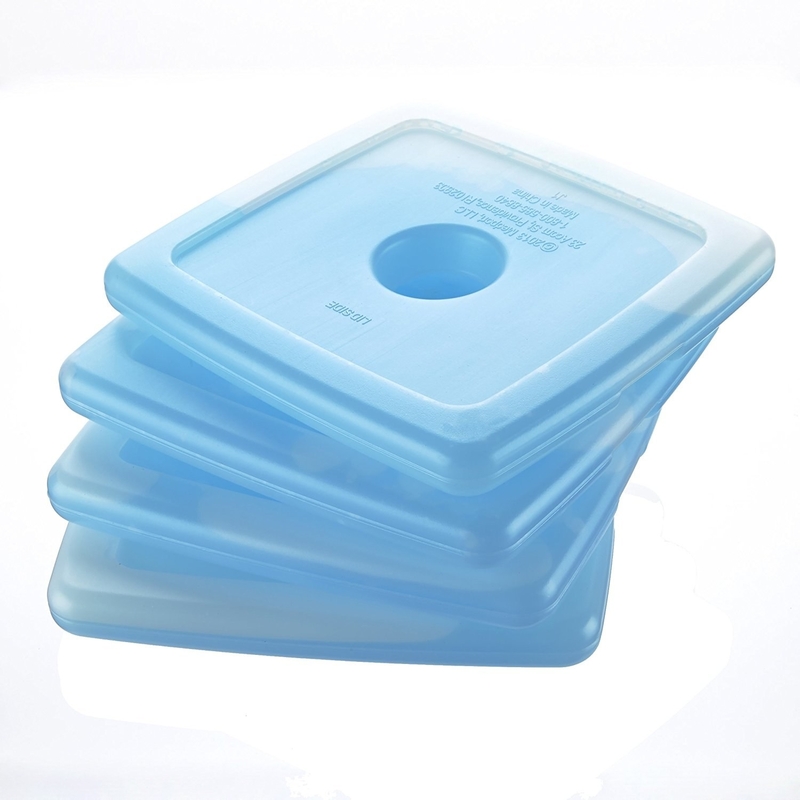 This lids are easy to remove for children and the containers nest together for easy storage when not in use. Get it from Amazon for $13.95+ (available in three styles and with mini dippers). 6. A microwavable mug great for those gloomy and rainy days when you just want to enjoy a cup of chicken noodle soup. This mug will heat without splatters due to the vented lid. It's fridge-, freezer-, and microwave-safe. You can put it in the dishwasher – just place it on the top rack! Get it from Amazon for $4.99+ (available in two styles). 7. A pack of snack bags that'll zip closed so you never drop a cracker, goldfish, or almond. These bags are reusable, so ditch those plastic bags you constantly are throwing away. If a snack leaks inside the bag, just wash it down with water and you'll be all set. Upon purchase, you get an assorted set of four. Get it from Amazon for $22.99+ (available in 14 styles). 8. A thermos ideal for cold treats like ice cream! Every lunch needs a dessert, let's be real. This thermos will keep whatever you pack cold up to 10 hours or hot up to 5. It's stainless steel body is super insulated and leak free. Get it from Amazon for $15.50 (available in three colors). 9. 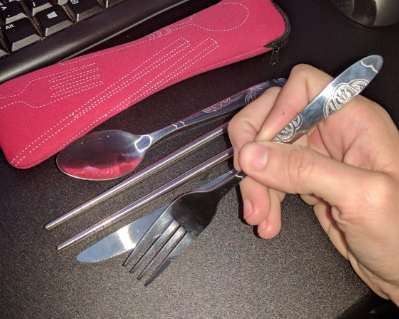 A cutlery set so you're never caught with sticky fingers again. And you can finally stop blaming your office when they run out of forks. 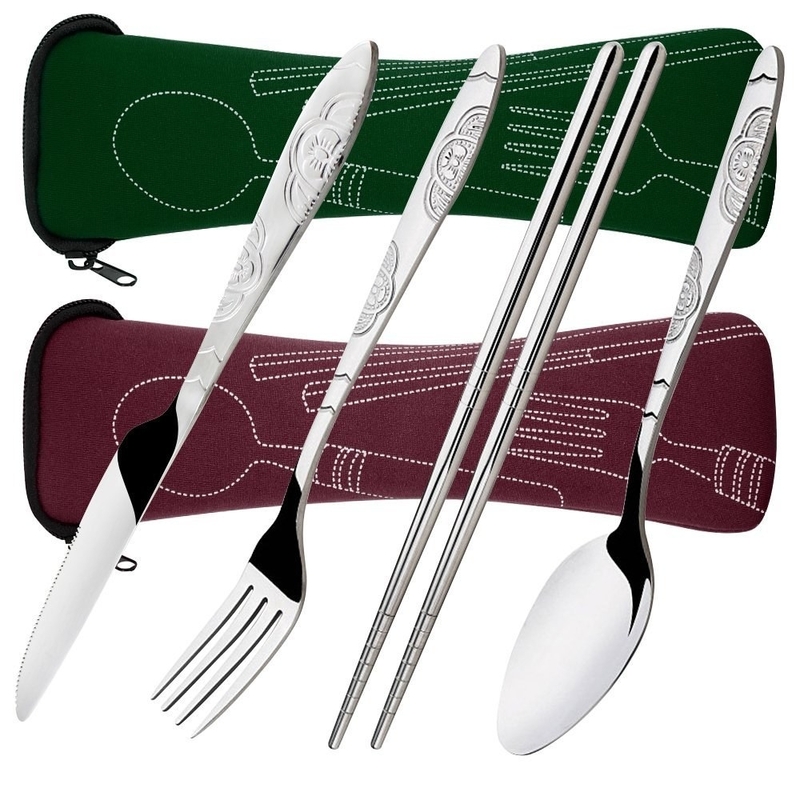 Get two sets from Amazon for $10.99 (available in three color combinations). 10. A to-go bowl excellent for building vegetable and protein packed grain bowls that'll keep you full for hours. This bowl is sealable, non-slip, and microwave-safe. It comes in a wide array of beautiful colors. 11. 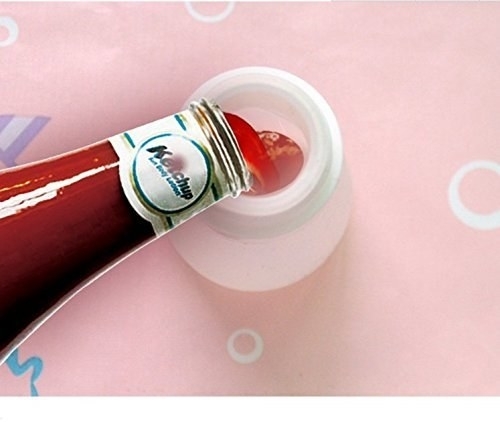 A condiment bottle built for easy squeezing and refilling. 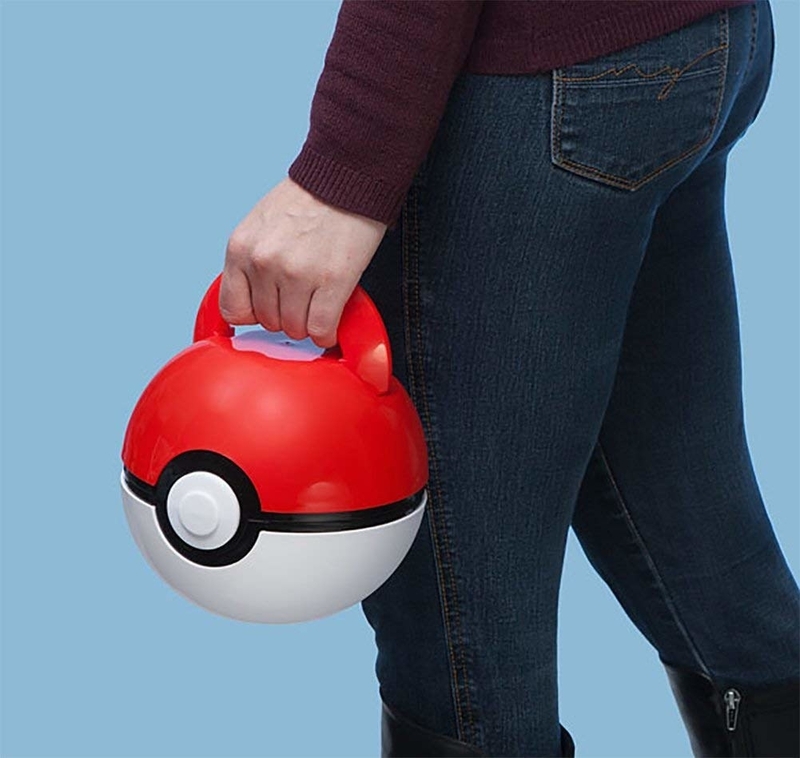 Now you'll never be caught without ketchup, mustard, or salad dressing. BTW, a dry salad is the worst thing ever and I stand behind that sentiment 100%. 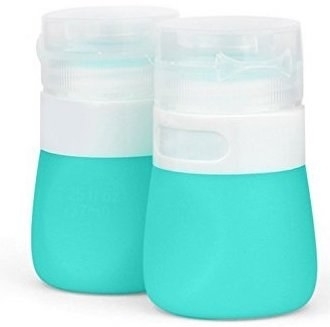 These leakproof bottles can be added to any lunch box. Get a 37-milliliter bottle from Amazon for $9.99+ (available in larger sizes). 12. A slim ice pack you can throw in with your food for added chill. It won't take up too much space, which is important because you need room for goodies. Get it from Amazon for $7.99+ (available in larger quantities). 13. A pack of food wrap that'll become your go-to instead of plastic wrap or sandwich bags. It's antibacterial and reusable! Made of organic cotton, sustainably harvested beeswax, organic jojoba oil and tree resin, this wrap can last up to a year even when used several times a week. It's washable and will form to whatever you cocoon inside. Check out a BuzzFeeder's review. Promising review: "This is an awesome product. This pack comes in a variety of sizes: the sandwich wrap is pretty large and the medium wraps will definitely fit around a large onion-sized item. It's easy to rinse off and keep clean, plus sticky enough to cling to itself and other items. It feels great to eliminate some of the plastic chemicals and waste from my life." —Lena C.
14. 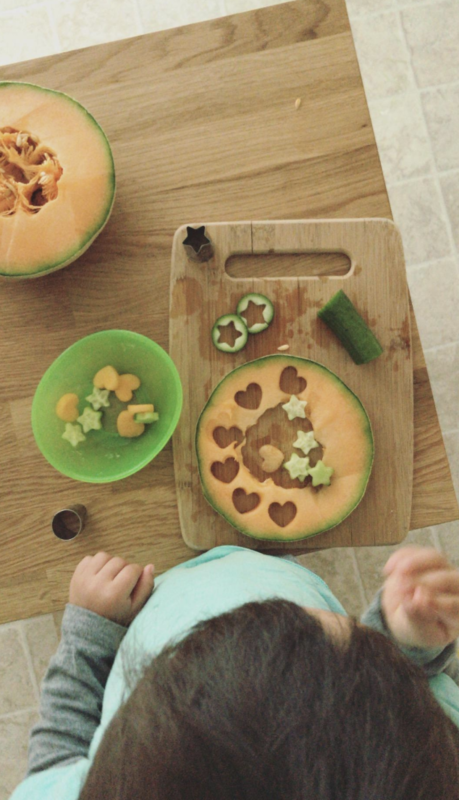 A pack of fun-shaped cutters for any parent whose child may be a bit picky about what their lunch looks like. Get an assorted pack of 10 from Amazon for $17.98. 15. A yogurt container with space for granola and fruit because sometimes you'll get tired of salads and sandwiches! The silicone ring is non-slip and the spill-proof lid means you won't lose any strawberries or blueberries. 16. A pack of Twist n' Lock storage jars you can use for legit any type of snack. I mean...pretzels, nuts, popcorn, or even protein powder for your mid-day shake. These are freezer- and dishwasher-safe! Just combine the containers you wish to use by screwing them together and pop them into your bag. Get an 100cc 3-pack from Amazon for $8.99+ (available in 13 sizes and 4 sizes). 17. A mini salt and pepper shaker to help flavor your food when you find it a tad bland. Get a set from Amazon for $11.95. 18. A floral napkin that'll add some color and cheer to your packed lunch. You may even have trouble getting them dirty. Get a pack of 20 from Amazon for $6.49. 19. A silicone reusable straw to replace the plastic in your life. They even come with tiny cleaning brushes! These dishwasher-safe straws are wide so they're suited for smoothies and shakes, along with water and regular soft drinks. Get a pack of 10 from Amazon for $7.99. 20. And finally, a multipurpose slicer that'll cut and core apples, mangoes, cucumbers, and whatever else you may feel like eating that day. The blades are interchangeable and sharp – so be careful! Get it from Food52 for $26. Now go on and pack the lunch of your dreams!